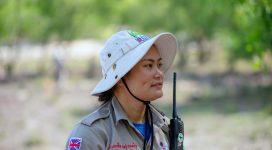 Gio Linh, Quang Tri (20 Feb 2017) – In response to a UXO call-in from a physical education teacher at a school in Gio My Commune, an Explosive Ordnance Disposal (EOD) team of Project RENEW and Norwegian People’s Aid on Monday safely destroyed a deadly cluster bomb three meters beyond the edge of the school’s playground. 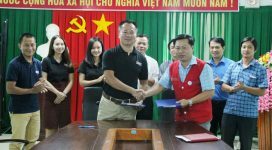 The hotline is operated by Quang Tri Province’s Legacy of War Coordination Center, which immediately relayed the information to EOD Team No. 4, led by Team Leader Hoang Kim Chien. When Chien’s team arrived at Gio My Secondary School they were met by teacher Can, who guided them to the location where the cluster bomb was found. An elderly man who lives nearby also reported to team members that he had found a hand grenade in the same area. 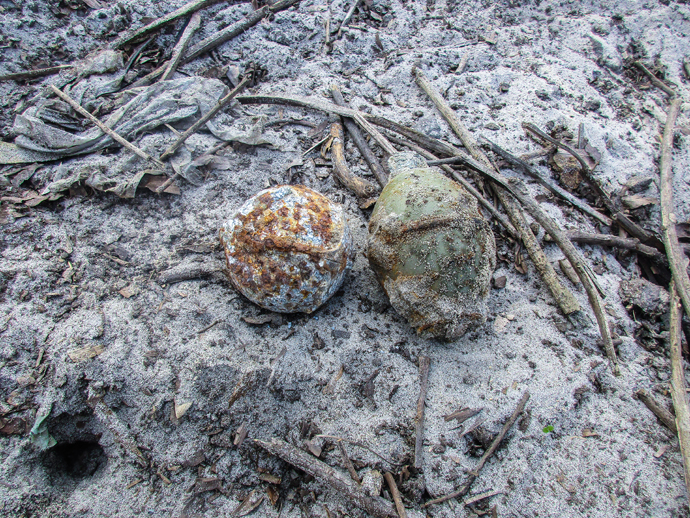 After examining the hand grenade and determining that it was safe to move, Team Leader Chien moved it next to the cluster bomb so the two munitions could be destroyed in a single demolition. All 180 students and their teachers at the school were evacuated to a safe distance. Team members then conducted the demolition which safely disposed of the two munitions. 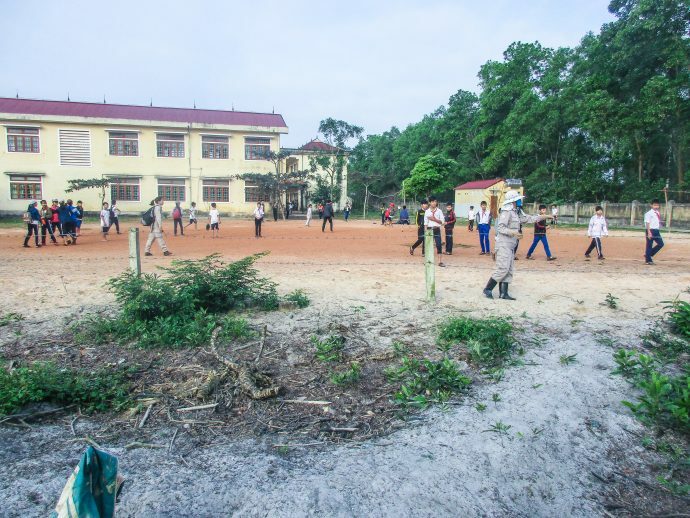 According to Nguyen Thanh Phu, who is in charge of Project RENEW’s Mine Risk Education program, schoolchildren of Gio My Secondary School have learned how to protect themselves through exposure to UXO safety messages. 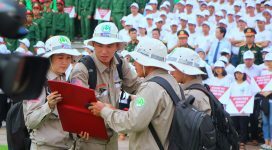 In May 2016, the students came to the Mine Action Visitor and took part in a risk education session organized by Project RENEW, with funding provided by Irish Aid. “This explains why these schoolchildren know exactly what to do when they encountered this deadly UXO,” said Phu. Project RENEW’s UXO Survey and Clearance Program is funded by the U.S. Department of State’s Office of Weapons Removal and Abatement through primary partner Norwegian People’s Aid (NPA).